If you’ve been diagnosed with PCOS and experiencing PCOS symptoms, chances are your doctor has also suggested you take some kind of pill. Metformin and the birth control pill are two of the most common medical treatments for PCOS, but – if you’ve been around us at FLO for awhile – you’ll know that medications like these are not really treatments at all, but rather band-aid solutions for a much deeper problem. We wanted to spend time with each of them today, so that you can make the best informed choices when it comes to treating your PCOS. What it does: The hormones in the birth control mask your natural hormonal patterns to prevent ovulation from happening, and therefore prevent pregnancy. The period you experience on the pill is not an acutal period, but rather a “break-through bleed” that occurs from the drop in estrogen. So even though it might be regulating your cycle, once you get off the pill chances are your period will return to the same state is was before. 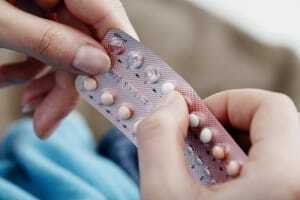 Side effects: We’ve spoken about significant side effects of the pill before, but the one side effect most relevant to PCOS is that it increases testosterone uptake, which can make your androgenic symptoms worse. This means if you’re experiencing hirsutism (hair growth in unwanted places), head-hair loss, or acne, it could potentially get worse with the pill. 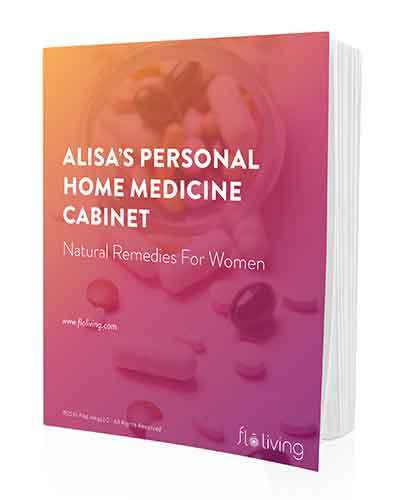 Alternative solutions: Re-establish your monthly ovulation and menstruation through restoring key micronutrients and helping your body to eliminate excess estrogen or other hormones that could be impeding your natural flow. Addressing adrenal fatigue and thyroid issues is also key here. And the great news is – all of these can be achieved through your diet and lifestyle! What it does: Metformin helps with blood sugar and insulin management by suppressing glucose production by the liver. It’s commonly used for diabetes and PCOS with insulin resistance. Side effects: In a recent study, metformin was found to cause an impairment mental cognition. It’s more commonly known to cause serious digestive issues like gas, bloating, diarrhea, constipation, and more uncomfortable symptoms. Alternative solutions: Address your blood sugar balance through your diet and key supplements. The WomanCode System has an extensive lesson and instructions on balancing blood sugar through food, and in severe cases you can also supplement with a chromium picolinate supplement, as well as cinnamon. Very often you’ll be told that the only thing you can do is take a pill, but I hope this article has opened your eyes to other possibilities and helped give you your power back when it comes to making informed decisions about treating your PCOS symptoms. There is no quick fix to treating PCOS. It is a systemic issues that needs to be managed through diet and lifestyle. If you’re needing some health upgrading, it’s time you started you looking into what’s going on with your hormones. I’ve designed a 4 day hormone detox and evaluation to help you understand exactly what’s out of whack and how you can start getting back to balance so that your hormones no longer have to suffer. Click here to get your FREE detox and evaluation! Hello. Can you please clarify what you mean by bc pills increasing “testosterone uptake” sometime? That is interesting. I was aware that some bc pills actually contain testosterone, but I have never heard that before. Why would a doctor give a PCOS patient something that would do that? PCOS patients with Hirsutism would not typically be prescribed BC pills with androgenic properties- usually, it’ll be drospirenone in conjunction with Spironolactone. The combination can be successful at masking hirsutism- it worked to alleviate my symptoms, but like you say, is not a fix for the root cause of the issue. I tried going off the pill but staying on the spiro after getting my IUD last year, and within a month began to see some hair regrowth. I’d love to see you address side effects of this treatment combination, as I know many are prescribed similarly.